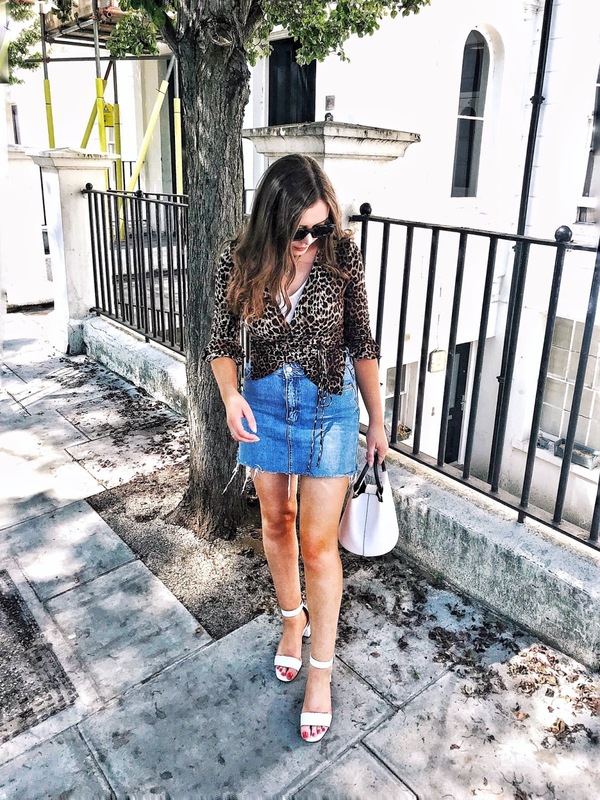 As fashion blogs go, personal style posts are often the main feature at hand - and there is a valid reason for this of course. While a blog is a personal platform mainly created in order to voice your own opinions, when the category of 'fashion blog' comes to mind, instinct rings the definition of such as more of a showcase of ensembles curated by its founder. Now, while I adore writing - as an aspiring fashion journalist after all - constructing posts about diverse topics within the fashion industry is just as engaging and as inspiring for me as styling and shooting an outfit for a personal style post. Even though, when the latter is in prime position on the blog front, I enjoy narrating the clothing pictured just as much as I would a descriptive overview of a catwalk collection. While it is definitely words that engross me more so, and the power that a good fashion journalist can hold over me is second to none, there will always be a lingering, captivating quality that any striking styling post has in common which allows such to stun with or without accompanying words. Think Pinterest even, and Tumblr - websites founded on the very basis of the practice of curating images which suit your desires or aesthetic even, with a platform with its sole focus on the visual aspect, it leaves very little room left for words. These platforms in the modern social media age of today are so saturated with personal style, street style and editorial shoots that it is pleasurably hard to avoid encountering any of the aforementioned and, this is not a bad thing at all. However, the undeniable influence and popularity of sole images leaves me wondering if, without all of the articles penned by my most favoured bloggers and journalists alike, would the power of fashion blogs and their influence still ring as true and bright as it does for me today, in their current written format? While I find inspiration for fashion in an ever differing number of things, with anything from magazines, films, art, music, and even architecture as contributors to my interests and sartorial stimulation - when the influence focuses on the form of the fashion blog, I almost feel as if there needs to be more of depth there, a written aspect too. I am not bashing the presence of outright outfit posts in their quantity, of course not, my love for collages and moodboards discounts that very thought however, with the increase in popularity of the ever proliferated picture sharing app we all know and love: Instagram; it almost feels as if the fashion blog game is changing and expanding, undoubtedly - but dumbing down too? It could seem. I guess this depth applies too with fashion magazines however, a written aspect is eternally going to feature within the alluring pages of a glossy bound, it is after all, the very format in which it is built upon. 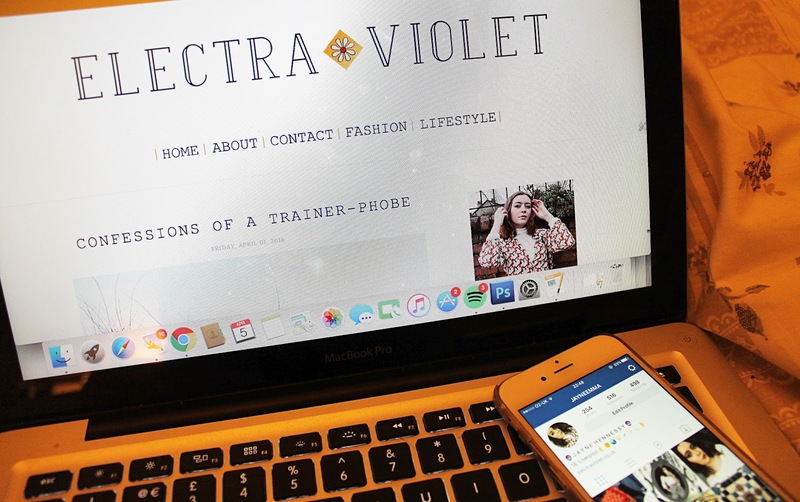 You could say that the creation of the fashion blog is the modern day formation of such printed configuration yet, the online form has instead enabled those with an interest of fashion sans the hierarchy, with a accessible platform to express themselves. However, it also could be said that with the fluid and free rein a fashion blog grants, the unfiltered gateway allows for sub-par content to become the norm and while a no rules bound platform is certainly an inspiring notion, I sometimes feel as if this all allowing nature overshadows some of the great talent and true integrity that the fashion blogs I hold dear posses. This opinion is not to say that I am accusing bloggers of lacking in talent, I personally feel that bloggers are some of the most inspiring and hard-working group of creatives I have found but, the over-saturation of such typical and akin content, lacking in anything real or grounding leaves a sour taste, a lazy one that sheds an uninspiring gaze on the fashion blog genre as a whole. I will be the first to admit that I love Instagram, as social media goes, the photo-sharing app is by far my favourite. Through my use of the image filtering app over the years (2011 was the long gone year I first joined) its evolution and the vast impact this has had on the notoriety of fashion blogs is staggering. When this advancement and prevalence is paired with the greatly saturated and sometimes lackluster intensity of fashion blogs in their similar quantity, it is a scary influence to be had. With claims being made (look to WHO WHAT WEAR) that fashion bloggers are now more influential that celebrities, you would think that the quality of said blogs is increasing, yet it seems this popularity and so-called influence is often linked to Instagram profiles rather than desktop blogs in all of their informed glory. It is easy to see why, Instagram reaches a much wider audience, a more engaging audience and not all users would follow a famous fashion blogger such as Chiara Ferragni, for example, on the app because of their knowledge and love of her established fashion blog: The Blonde Salad. In fact, they may just like her pictures, her clothes maybe, or even how she looks, without a real interest in the fashion world in any detailed aspect. While Instagram is certainly a social media commonly used as a tool to aid a fashion blog or business even, recent stakes may see it overtake in popularity over the traditional post, that is, for people who are aware of both. It has after all, already been partly to blame for the 'death' of street-style. It is hard not to notice Instagram's ever growing power in the blogging world. While I am not one of them, many bloggers I have come across have followers in their thousands on their Instagram platform and yet, a mere hundred or so in comparison on their blog. While I am well aware that followers are not everything (content is certainly more valuable than ever) you cannot deny the facts. With the app having over 400 million active users, it is a power-house of instant gratification, an easily digestible quick-speed version of the fashion blog and not just for an inclusive group to enjoy, modern app-form social media has opened fashion's gates wider than ever before. Although, both sharing platforms can drive traffic to either or, which is of course good, yet, this power is especially profound when considering Instagram and its ability to reach a wider, genre-neutral audience that may not be interested in the industry of fashion at all. That, and the fact that the latter is certainly easier to execute, a good iPhone picture and a VSCO cam filter next, albeit accompanied by a eye-pleasing, theme matching feed and you are good to go. In that aspect, Instagram is definitely less effort to maintain which may be the nature behind the assertion that the app could be dumbing down what fashion bloggers in their own right have built up over recent years which is of course, a voice to be had within the notoriously hierarchal industry. Even bloggers themselves however, have aired their lacking interest in written fashion blogs next to the visual, no fuss Instagram. 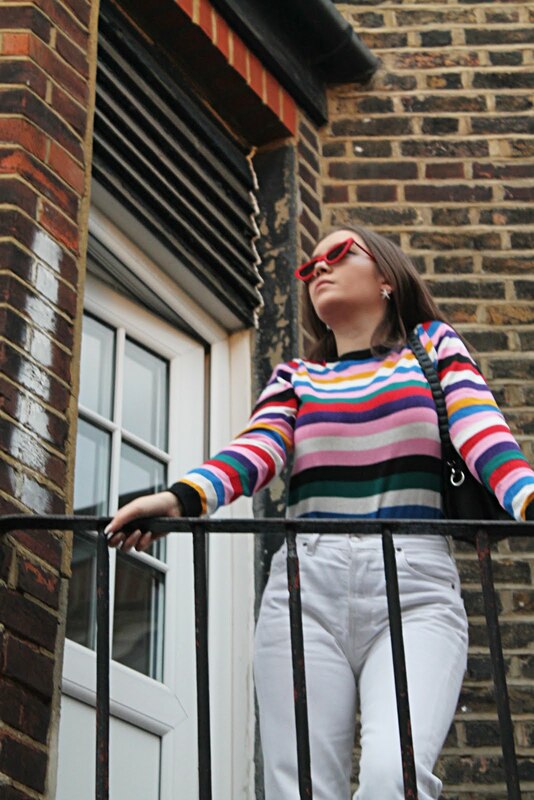 Although she has been absent from the blogging industry for a short while, Allie Davies, blogger at Tie-Dye-Eyes, has too has noticed a shift. "It is quite sad, because obviously the written word is so important, but as a whole we're definitely moving towards more image based media, not just in fashion or blogging but in all aspects." Despite being a blogger for many years, Allie has recently felt a decline in enjoyment surrounding the self-publishing industry and not only that but a heightened sense of impatience too. "While some people will definitely still sit and read blogs, just as some people still buy newspapers, information is getting shorter and shorter so it is easier to consume but harder to make an impact at the same time." With the most popular of Instagram accounts updating several times a day and making money through the form of sponsored posts, you can see why the traditional fashion blog may be waning in popularity next to its more modern counterpart. If one thing is fact though, with the aid of Instagram - the genre-surpassing tool - the fashion blogging game appears to be more commercial than ever. Is this changing face of fashion blogs such a bad thing though? Instagram for me, will always be secondary to a fashion blog's, or a website's actual platform, after all, the very nature of Instagram is ingrained as a social media account. While there are people that I follow solely on Instagram and who's posts I indeed find inspiring, the majority are sans blog, and you would be right in thinking that I would certainly follow if one did just happen to materialise. 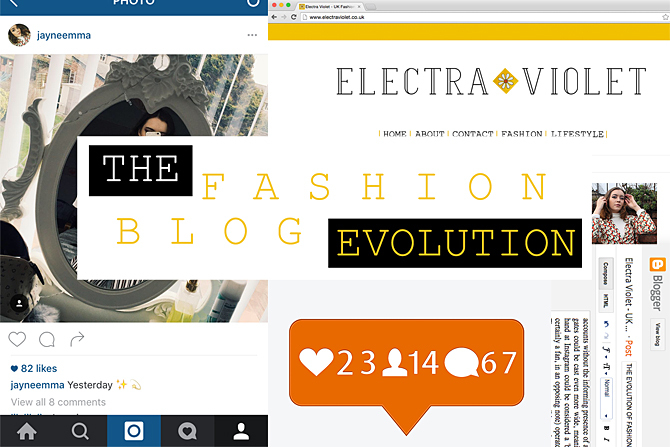 Will we, however, see a new wave of bloggers solely publishing content on Instagram? Who knows, maybe such has already become a thing without me even being aware. It is already a platform in it's own right, acting as a separate extension to a blog, where content is published that is not available on the main site, but for me at least, it is only viewed as an extension and a less informal one at that. But, with the rise of influential social media accounts without the informing presence of a blog at hand, the worry arises whether the fashion flood gates could be cast even more wide, meaning anyone with an interest and aesthetic, lending their hand at Instagram could be considered a 'blogger'. Accounts such as ppennylane and 100_s (I am certainly a fan, in an opposing note) operate on a related, yet still, very taste-particular wavelength. These accounts create a very striking and particular vibe inducing experience through the collation of unique and peculiar images - something which is definitely along the lines of a new dawn of fashion communication. But could such, in turn, still instigate a dumbing down of fashion, one without words or dare I say meaning? Without words that narrate fashion and it's complex industry, what is fashion journalism? Images are integral to the industry and the conversion, of course, but in my view so are words. It would be a loss that could see fashion and its communicators take an even more frivolous turn. Right now, Instagram is all good and well - even with its proposed changes, however still, it all seems so temporary, too temporary in its uncomplicated form. It is after all social media - not a true platform, it is primarily an app, and yes, it has withstood the testing of time throughout a 6 year span and counting and while I doubt it is going anywhere soon, to me, traditional blogging just seems that little more solid, personally favoured and it certainly boasts more depth and content, more intrigue - and the more the merrier, no? I may just be wrong, but only time will tell, I am no expert but I do know this - for those of us with an intellectual interest in fashion and its vast, multi-million dollar industry, written content alongside visual creation will always make the latter that much more alluring, it is certainly the words which leave a lasting effect, and the latter makes for a more structured, informative and better outcome. Yet, besides this, the originality and innovative ways of my favourites never seems to die down, and there is nothing more refreshing than that. Long live the words of the blogs, I say, the helm that is Instagram shall not dumb down the words of its bigger (and arguably, better) sibling, the fashion blog, as long as that stays afoot and that the Instagram-only world does not render our words defunct, Instagram can have its say (or not). I must confess, since working full-time and moving out of home I've become very lazy, often skimming blog posts (more than usual) but always checking my Instagram feed first thing in the morning at 6am in fear I'll miss out on some vital bit of news within the fashion world. There's so much to catch up on whilst I was alseep on the other side of the world and I don't always have the energy to engage in blogging and with other bloggers as much as I'd like. That said, I share your views on Instagram, and feel that it is complementary to fashion blogs, however, there are certain accounts that exist without a URL or more solid platform. 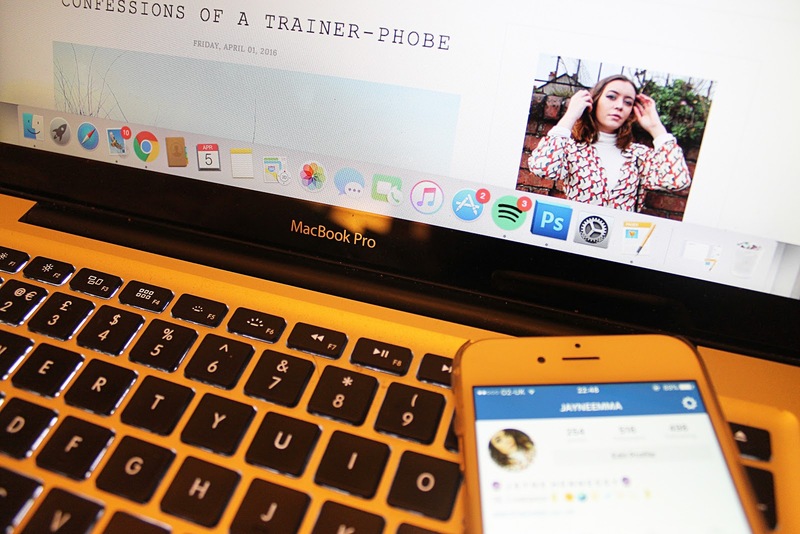 Coupled with the phrase 'fashion influencer' appearing in many Instagram bios Instagram may be slowly taking over blogging (but I wish it wasn't). Probably because I'm not as good at Instagram and like you, I prefer the written word and to intellectualise fashion examining the context in which women and men wear their clothes, as well as the techniques the designers have used each season. I check Instagram so much, but I do not feel I would be satisfied with using it as the only platform to consume fashion and fashion blogs, it is too limited in my opinion. Oh yes I've seen that too, it is a strange concept. I love written posts the most, it would be a shame to see that slowly disappear although, I do not think it will entirely.